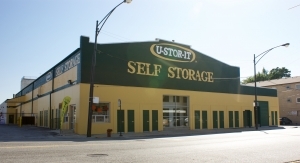 At U-Stor-It Self Storage of Chicago our goal is to provide you with quality storage space at affordable prices. 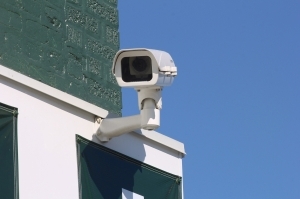 We provide indoor storage units with 24/7 video surveillance. Pleased with the unit and facility but I had reserved a unit online the day before I loaded up my items into my car. When I got to the unit I was informed that there was no unit available in the size that I had reserved. Instead, they offered a slightly larger unit for more money. I had all my items in my car ready to be stored and did not have much of a choice, so I took the larger unit. What's the purpose of reserving online when you are then told that size unit is not available? It's frustrating and disappointing. Moving to my new home but it want be ready till late this year. It's nice to get good customer service, The young lady was very helpful with info and the question I had about my storage unite. And the next day my return was just as pleasant with the young man as the first, Thanks. Really nice storage space for cheap! 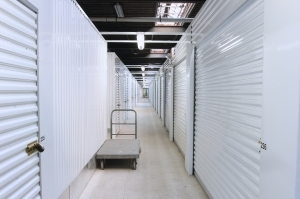 I was a customer of Safeguard Self Storage for over 3 years, but when I moved across the city I was in search of another storage facility. 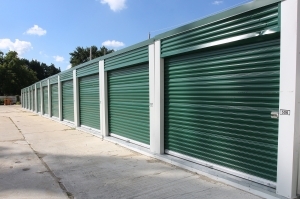 After looking on Sparefoot, I found that I could get the same exact sized unit at a better price point at this facility. I was still nervous about what to expect so I went with my boyfriend to check it out. The units were all in good condition. It is clean and the people who work there are very friendly and helpful. 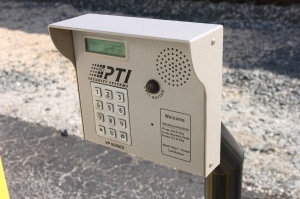 It does not have as many of the bells and whistles like Safeguard with the cylinder locks (some units are equipped with these) and the fancy keytags to open doors and such (here you use a code), but it is still a safe and secure unit and I am very pleased with my choice. I was impressed with how fast I was processed in obtaining my unit. It was more spacious than what I thought it would be & the unit and surrounding areas were very clean. Great service! Not enough lighting outside! Needs more lighting outside and in the back of storage! Other than that it's great place! Great service! Safety not so sure about? I only have couple of concerns with the outside gates around the building being loose and some areas open around the back , also no light in back where most of gates are loose. Are the camera's covering the back gate? Is it safe? The entire experience was very easy. The entire experience so far has been very easy. There is a key code gate. Thank you for the receipt. The customer service guy, Marcus, did not really provide detailed information about the units. I had to ask a lot of the questions or I would not have known. He did not tell me how I should go about for my initial move-in. I came back that evening to move in my stuff and there was a padlock on our storage still, after earlier in the day we checked to see if the gate code works, and it did. Very easy to use. Ine of the nicest I've seen. Staff were courteous, knowledgeable, and efficient. Great, there is nothing more that can be said!! I've used other facilities, but this one beats them all! Water Water Please Go Away!!! Well, the worst thing, water damage! We are not sure when the water came in, (I discovered it 4 days after I moved in) it completely destroyed my Italian Leather Sofa! The insurance won't cover the cost! Some of the staff made excuses for the water coming in the unit instead of trying to find another unit for me to move into to prevent more damage at that time. So what happened, days later water came in again and destroyed more of my things and they want money for this unit when the water coming in was clearly the fault of the facility?! The staff is nice, but not trained to handle water damage! This company should take responsibility for this debacle!!! Pretty good. If outside, bring a mat in case it's wet outside. Nice place for the price. Outside areas mostly but the spaces are pretty good. 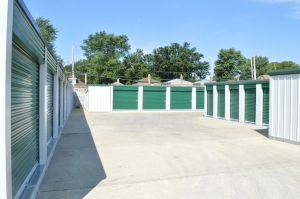 U-Stor-It on 111th Street is almost hidden in the Beverly neighborhood of Chicago. They have a fantastic staff, and is very clean too. So far I'm glad for the rental. Really easy and friendly sign-up process. 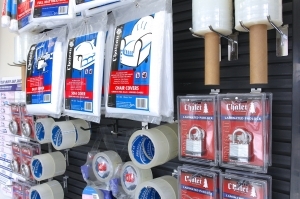 The space is clean and easy to access, and the customer service I received helped me feel secure about storing my items there. So glad that I chose this facility. The management was accommodating and profeessional. The facility is clean. They could be a little cheaper. I visited beverly location today 7/31 and the customer service was terrible. I decided not to rent a unit. I rented a unit a about 6 months ago and the staff there were very helpful. But now I wouldn't recommend this facility. A great place to store your stuff! Everything went very well with getting registered. Jamia was great about letting me know what to expect with the paperwork when I went to check out the unit. Got a really good rate online, too! Nice & clean facility, like the location. Very pleased with my unit. Would recommend to anyone. Excellent, Jamia was patient & informative. Jamia was amazing and made me feel like I was family!! Def recommend. 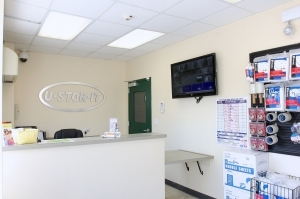 I recently rented a unit at U-Stor-It, and I must say that this has probably been the best customer service that I have received in a very long time. The manager there made me feel extremely comfortable with my purchase. She was helpful and honest.I had no clue what I was looking for, but she pointed me into the right direction. Since I moved in I recommended this place to my brother, and he moved in a few days after. Having trucks for rent was an added bonus, because it made the place a one stop shop. Very convenient! I did a reservation and on move in day it was sold. My only other options was to go larger for an unprofessional amount of money. Then again a smaller unit which of course would not work. Everything went well with registering. Have found the unit to be just to my liking. The ads for the pricing are not clear. I was told at the facility that I had to ask for the $1 first month rent storage in order to receive it. It did not say that anywhere in the ad. If Walgreens has a 2 for 1 special on a product I don't have to tell them in order to receive it. That is ridiculous. This was the first time I have ever used a storage facility. I was impressed. The staff were SUPER friendly and helpful. Brand new clean place with a great staff! This place is a great addition to our neighborhood. Super safe with security. I feel very safe keeping my stuff here while I am out of country on a work program. Super easy to rent here and move in. Everyone here was really nice. I chose this place with all the security and I actually feel safe keeping my things here. I tell all my friends about this place. They are still very new here and everything is very clean! I went into a few storage facilities last Wednesday and I would have to say that U-Stor-It had the best customer service by far. The other places in the neighborhood took a while before they ever acknowledged that I was in their presence. One place was so rude that I found the nearest exit. The lady was extremely friendly, and I would recommend this place to any and everyone, in fact I have!